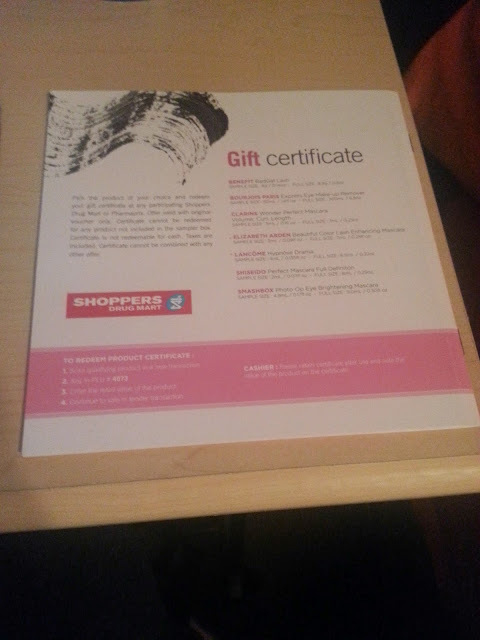 Usually every year, around Christmas, Shoppers Drug Mart will release a sampler kit. In previous years it has been a perfume sampler kit for women, and a cologne sampler kit for men. In these kits you get about 6 samples (if memory serves me correct), and a coupon for a full size bottle (of your choice) of cologne/perfume that was included as a sample in your pack. I'm usually picky when it comes to perfumes, so when I have received this in the past, I really liked it. It allowed me to choose what I wanted instead of someone else choosing something I may never wear because I didn't like it. This past Christmas I noticed Shoppers was selling a mascara version of this sampler pack and I knew I wanted to pick one up as a gift for a friend. While I was shopping around I decided that I wanted to purchase one for myself as well, because mascara is hard to shop for. Trying the samples allows me to try a bunch I may have never picked for myself. 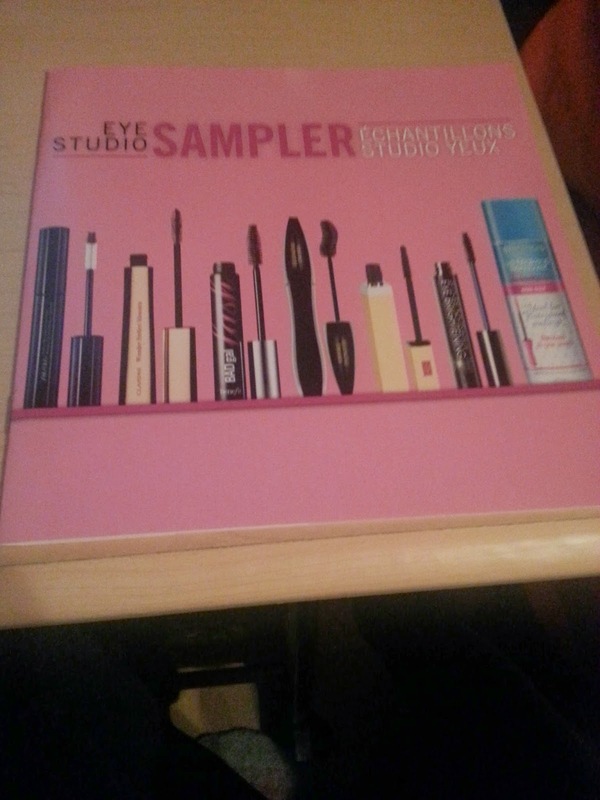 This sample pack included 6 different mascara brands, and it also came with a sample size make up remover. It retailed for $39 at Shoppers Drug Mart, and inside was an included gift certificate which allows you to get a full size version of the mascara sample you liked the best! The average price for these full sized mascaras, is around $25, so this makes it a great deal to try and find the perfect mascara for you! I actually still have to redeem my gift certificate, I always forget to bring it with me when I visit Shoppers. And, I really don't need a full sized mascara at the moment. My lashes are naturally long, so when I look for a mascara, I would prefer it to be volumizing. 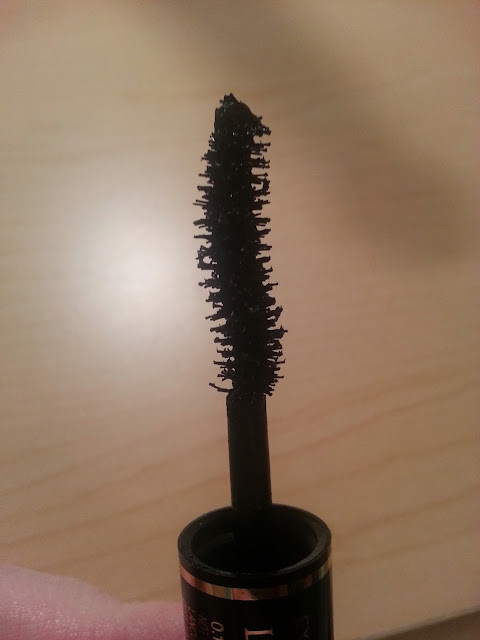 Over the years I have heard a lot about this mascara. I've always wanted to give it a try, but I never wanted to pay the price. I was excited to try this one when I saw it in the sample kit. 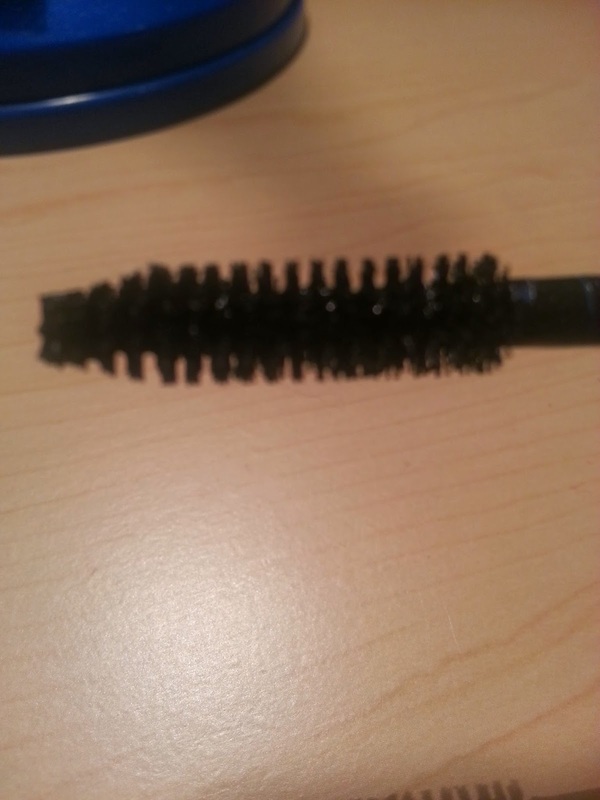 Above is a picture of the mascara brush. 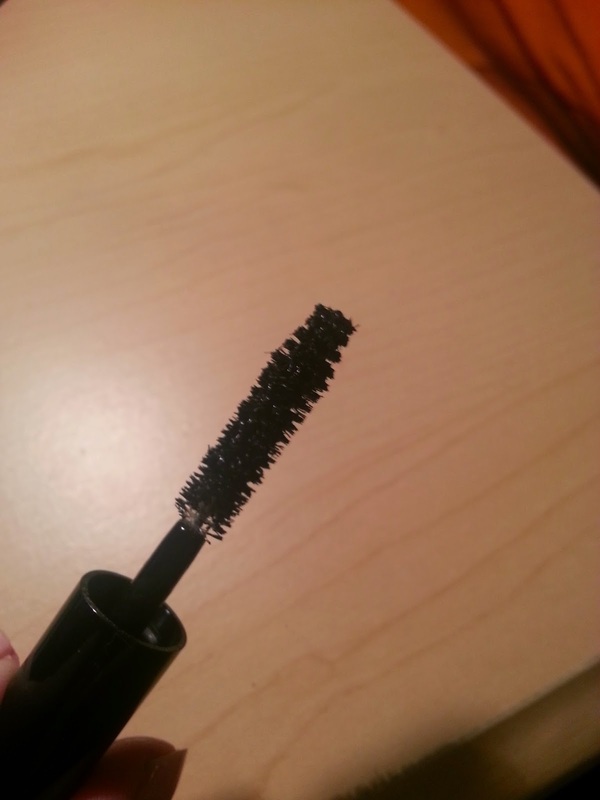 The formula looked a little clumpy and thick, and the wand was different for me. I still wanted to try it though. 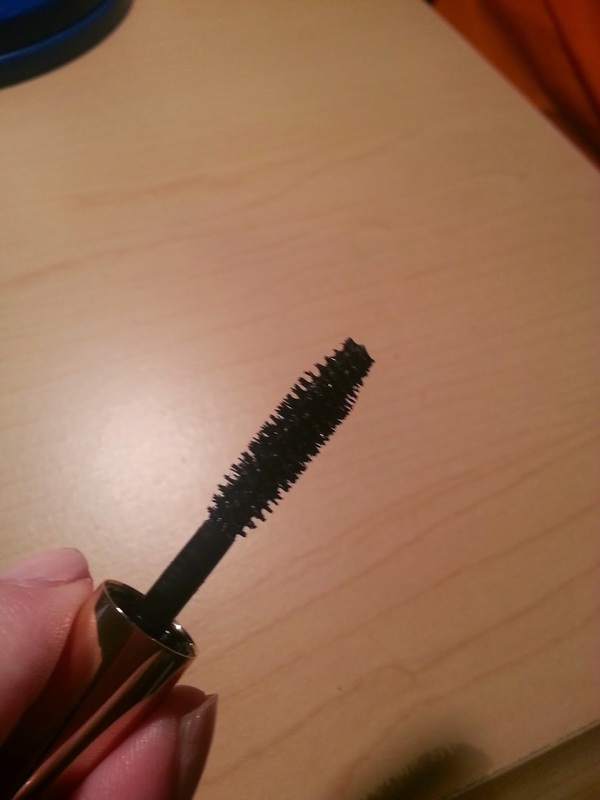 I found that it made my lashes thicker, and longer. 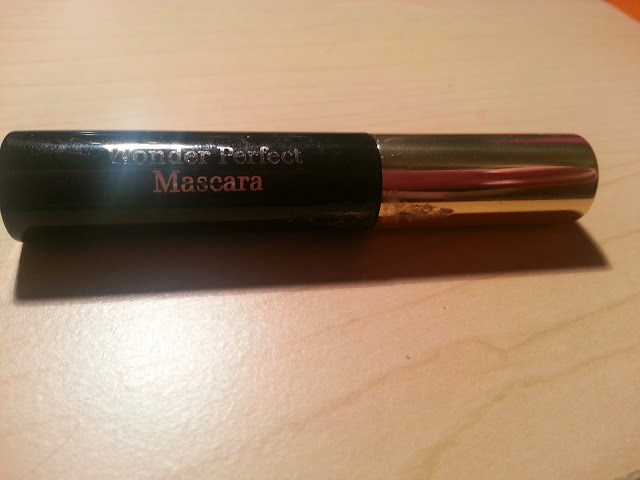 This was probably one of my favourite mascaras from the whole sample pack. 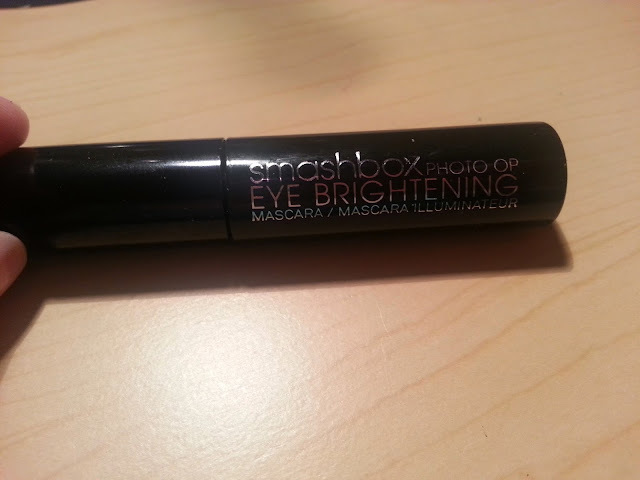 I've seen Smashbox online and in stores, and never have tried it before. 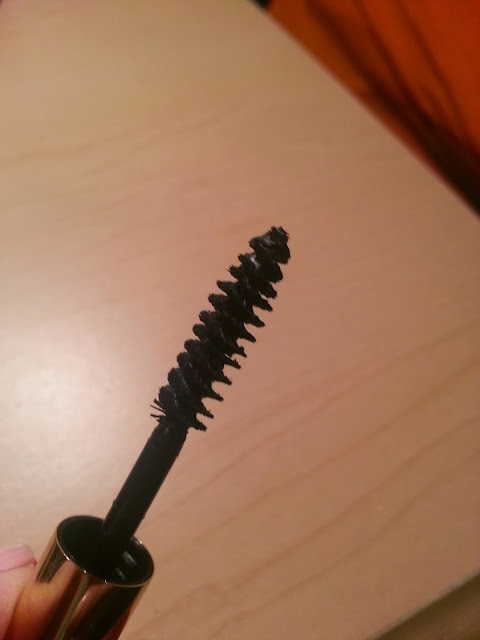 The brush is the typical mascara wand. 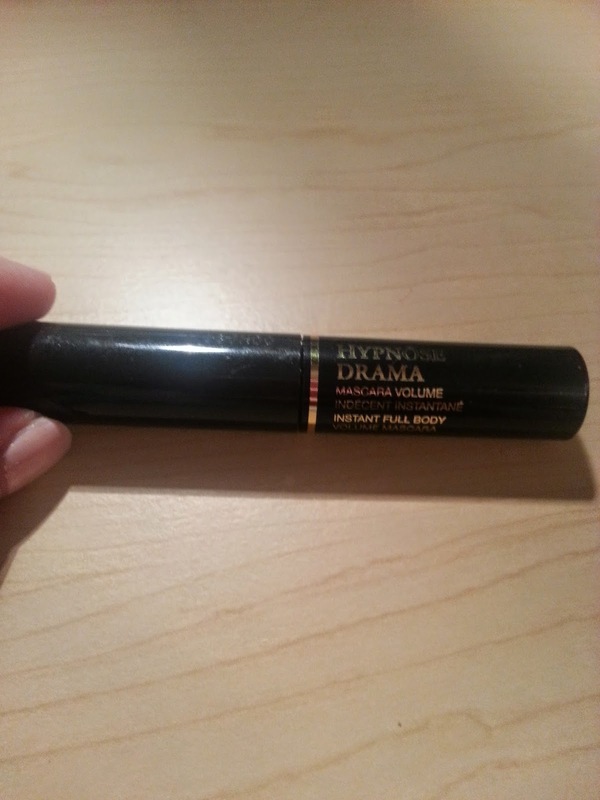 I applied this on one eye, and the Lancome on the other and I preferred the look of the Lancome Hypnose. The Smashbox added length to my lashes, but didn't make them look as full as the Lancome. I won't be purchasing this mascara in the future. Oh, Benefit. I seem to have a love/hate relationship with your products. I will try something I really really love, then try another and hate it. Does anyone else have this issue with Benefit cosmetics? Maybe this is something I can blog about in another post. What I love of theirs, and what I hate. Anyway, back to this mascara. 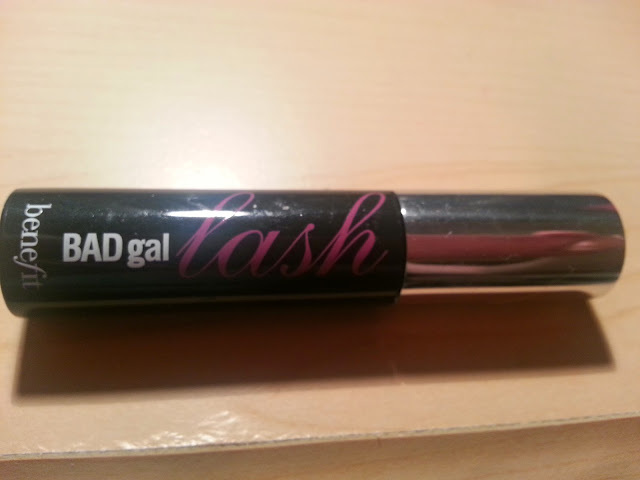 I really wanted to like the Bad Gal Lash, because They're Real was such a disappointment to me. I thought maybe this one would better suit my mascara needs. I was wrong. 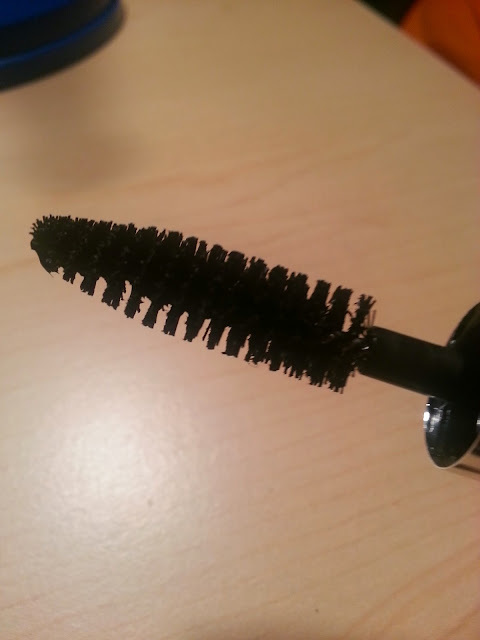 The brush is your normal everyday mascara brush. The formula was not too thick, and not too thin. It made my eyelashes look so long and thin. Kind of like spider legs. It did nothing for my lashes, it didn't give them volume. I won't be purchasing this mascara in the future. I worked in a department store for many years, and Clarins, Lancome, Elizabeth Arden and Shiseido were all cosmetic counters in that location. I used to hear many announcements made during the day, so I was familiar with all of these brands but have never tried their mascara products. To be honest, I probably would have never looked at Clarins so getting this in the sample pack gave me a chance to try something I would never have tried. I applied this to one eye, and the Bad Gal Lash to the other. Between the two I preferred the Clarins Wonder Perfect Mascara. The Clarins gave me a little more length and volume compared to the Bad Gal Lash, but I won't be purchasing either one of these in the future. I really like Shiseido skin care. I have used their cleansers, toners and moisturizers for many years, but I have never purchased their makeup line. 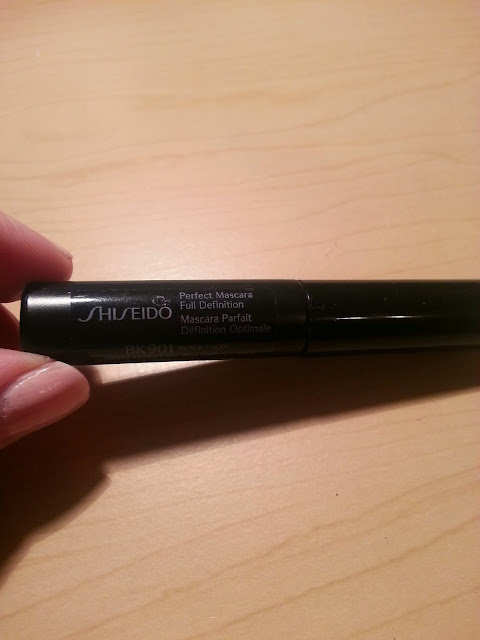 Having such a great experience with Shiseido in the past, I was excited to try this sample. First off. The formula STINKS. Literally. It reminded me of rubbing alcohol. I'm not sure if this is how the full size smells, but I don't want to find out. Also, the bristles on the wand are so weird. They're not plastic, but they are pointy. It's so hard to describe. Ignoring the smell and wand, I still felt I needed to try this. I didn't like this sample at all. The formulation itself was really thin and watery. It didn't add any length or volume to my lashes, it just made them darker. Also, it was really hard to remove. I won't be purchasing this in the future. This was my least favourite mascara in the sampler kit. I know Elizabeth Arden from the many perfumes that are sold through the brand, and have purchased a lot of those perfumes myself. (Britney Spears fragrances- anyone?!) But I never have purchased their cosmetics. I was a little hesitant to try this. The wand bristles were a little weird looking to me at first, because they look like a spiral. Not a lot of product came out on the brush, which I liked because it didn't glob onto my eyelashes in a mess. Surprisingly, I really liked this mascara. It gave my lashes both volume and a little length, without making them look fake. It was a very natural look compared to many other mascaras I have tried. My lashes didn't clump, and it didn't leave me with raccoon eyes. I applied this to one eye, and the Shiseido mascara on another, and I (obviously) preferred the Elizabeth Arden mascara. 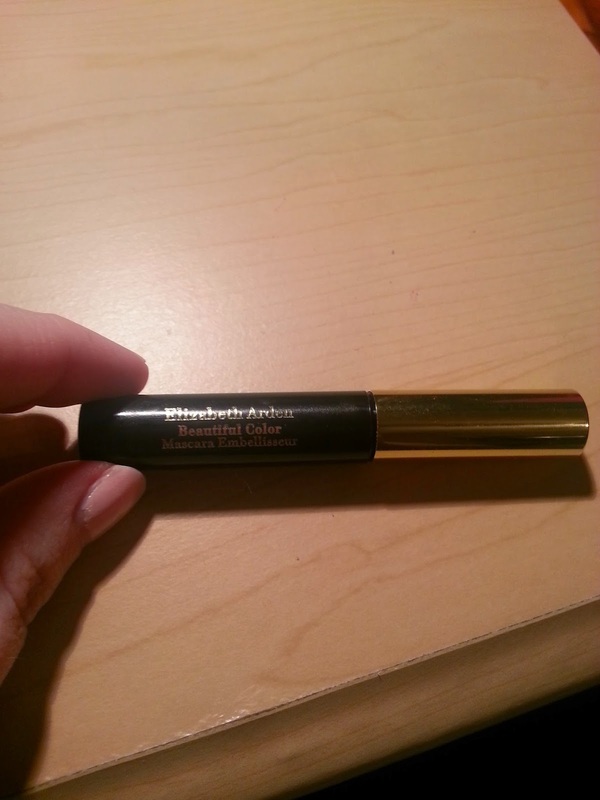 So now I have it narrowed down to the Lancome Hypnose Drama mascara, and the Elizabeth Arden Beautiful Color mascara. I will probably give each one another few tries before I fully decide which mascara it is that I want to use my gift certificate on. But I'm leaning more towards the Elizabeth Arden mascara. Ipsy - April 2014 Sneak Peeks!